A multi-disciplinary engineering and environmental consulting firm. Cross-vane structure installed along the Pigeon River in Haywood County, NC following severe hurricane damage. 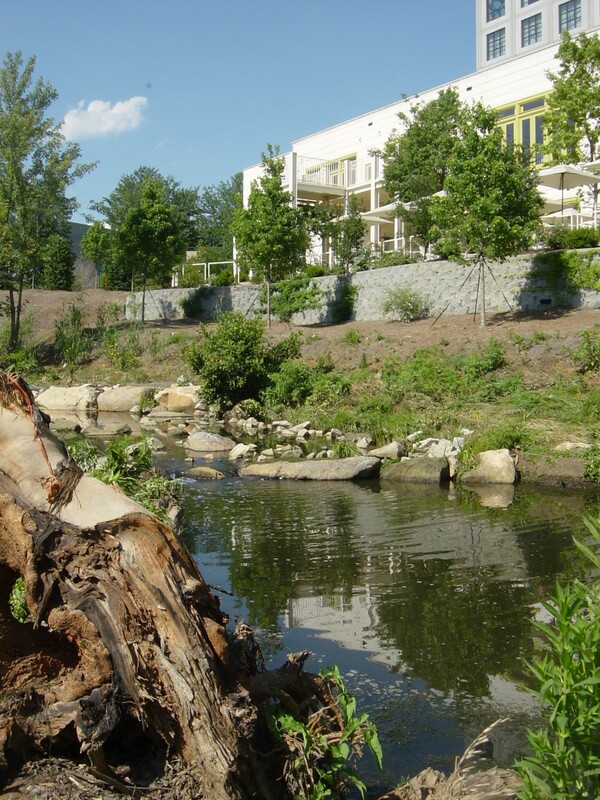 Our team of engineers, designers and scientists provides Landscape Restoration expertise in the specific areas of stream, buffer and wetland restoration design. We have designed and implemented restoration, enhancement and creation on a wide range of stream and wetland projects including municipal projects, state projects, and private residential and commercial developments. Log cross-vane structure behind the LEED Certified Proximity Hotel in Greensboro, NC. Our professionals regularly analyze sites and prepare detailed stream, wetland and riparian buffer restoration plans including grading plans, erosion and sediment control plans and monitoring plans. We work closely with private owners, development entities, mitigation banks, and government agencies to engage contractors and oversee construction work. S&EC has prepared plans for and supported the implementation of over 40,000 linear feet of stream restoration and associated riparian buffer and over 145 acres of wetland restoration, enhancement or creation. We prepare monitoring plans for regulatory agency approval and have executed such plans on a wide variety of project sites across the state. Our professionals regularly monitor channel morphology, wetland hydrology, vegetation and benthic macroinvertebrate populations. 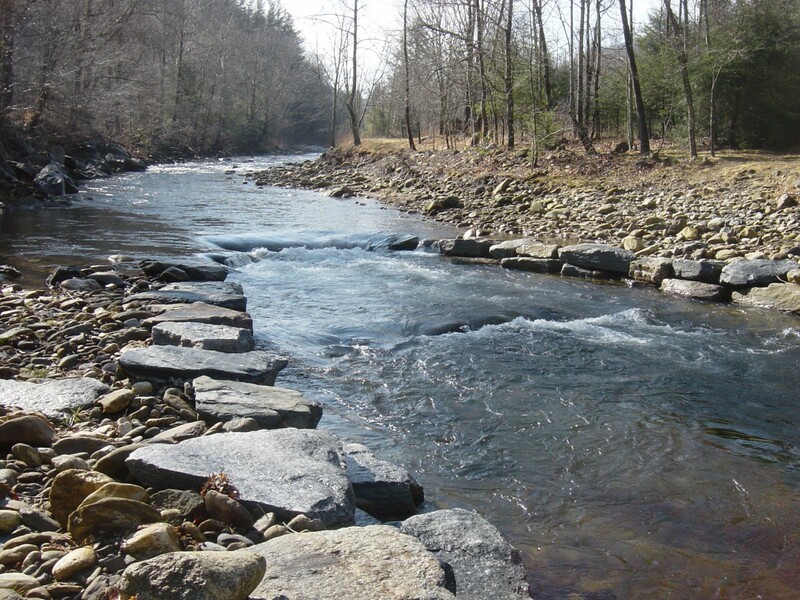 We also provide owner support of the restoration and remediation of inadvertent/unpermitted resource impacts including those to streams, buffers, and wetlands. © 2010-2018 S&EC. All Rights Reserved.